A full seventeen years after "The Last Waltz", the Band reforms without Robbie Robertson or the late Richard Manuel and records Jericho. Far from being an embarassment, "Jericho" is their strongest record since Northern Lights, Southern Cross and arguably their best since Stage Fright. Without Robertson, the Band relies on a variety of sources for their material (including Bob Dylan, Bruce Springsteen, and Jules Shear) and they prove that they could interpret nearly any song well. Musically, the Band can still juggle rock, folk, blues, and country effortlessly, producing a rootsy sound that is distinctly their own. It sounds like the heyday of the group, which is more than can be said of either of Robertson's solo albums. 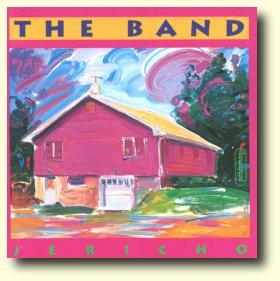 Jericho was reissued by Fontana's Titan/Pyramid Records in February 2006, featuring 24-bit remastering.